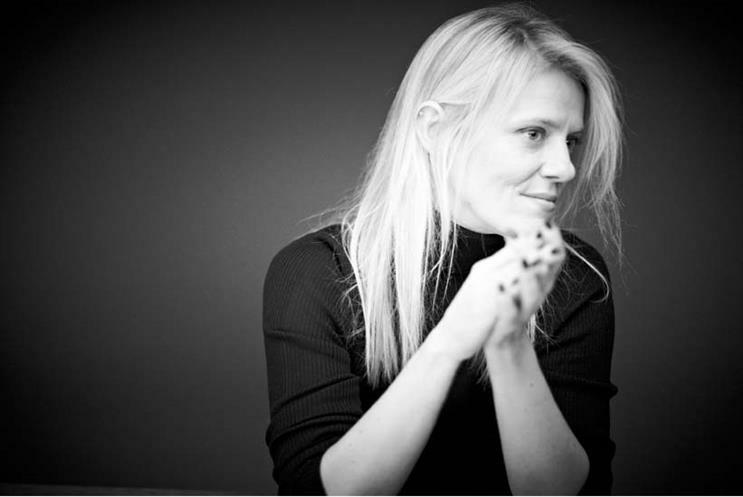 Cat Davis, chief growth officer at Cheil, shares her story with Purple Consultancy, discussing her drive to earn a position in the C-Suite and the inherent challenges of picking that role back up after 10 months on maternity leave. She talks openly and honestly about the importance of support, strong mentors, and how she has managed to achieve a balance between her impressive career and being a mother. Cat has somehow even managed to work into her hectic schedule time to help run a 14k-strong Facebook page dedicated to clean eating, HeLo Health, and is keen to find ways Cheil can help get the Women’s Equality Party seats in the next election. Does she struggle to juggle everything? Of course. Did she have a hotline to the nursery when she returned to work? Definitely. But Cat is proud of being a working mum: "I’m pleased that I’m raising [my son] Arran to show that working mothers can have the best of both worlds - a fulfilling home life and a successful career," she says. "He’ll have far more respect for women as a result." I started as a suit at TBWA in the days of the Wonderbra's 'Hello Boys' and Nissan Micra's 'Shape' campaigns. Then, at the age of 25, I went abroad. I thought international experience would be a good thing to have on my CV, and I chose Singapore. I'd never been to Asia and I didn't have a job - what was the worst that could happen? I ended up heading Singapore Airlines’ global advertising account for five years. Then I came back to London, joining Leo Burnett at the time of the John West 'Bear' campaign. I moved to RKCR, DDB... then I got one of those once in a lifetime calls. An opportunity to go client side and, with a very small crack team, deliver a six-month nationwide UK festival called 'China Now' in the run up to the Beijing Olympics. The contacts I made were incredible. Deciding I needed to mix things up a bit, I thought the experience of having worked client and agency side would serve me well. Plus I get bored easily and like the thrill of the chase, so new business seemed a perfect fit. Grey was my first new business job, and seven years and 68 wins later I'm incredibly proud of the success we achieved as an agency. The opportunity to be a part of another - albeit different - turnaround story at Cheil was one that was just too good to miss. What does your role typically involve? Liaising with the intermediaries, prospecting for new clients, RFI and PQQ filling. For the unfamiliar, think of writing essay style responses to 101 questions; question number one may be, ‘What's your VAT number?’ and question number 101 could be ‘Provide your point of view on the utilities market for the next five years and how you think this will affect our brand'. It keeps you on your toes - and it's certainly not the kind of thing you can simply cut and paste. But that's not it: writing creds; prepping case study films; ensuring all social media channels and the website remain up to date; liaising with the rest of the network on their new business and marketing activity; internal marketing; external PR... that's only half of it. There's liaising with the client, intermediaries, procurement right the way through a pitch and ensuring that we as an agency win at every stage. But no matter how tough the going gets you need to have the skin of a rhino, a great sense of humour, the smile of a Cheshire Cat, the passion of a fighter, enthusiasm of Tigger and the ability to glide like a swan even though you may be kicking like mad underneath it all. "Fire in the belly, ice in the head," as a wise man once told me. What attracted you to the C-suite early on in your career? I've always been ambitious, entrepreneurial and pushed myself to be the best I can be in anything and everything I do. Like being a climber wanting to conquer Everest, I've always wanted to be at the top of my game and now, thanks to hard work, passion and dedication, I'm really pleased I've made it. Who have been your biggest mentors? Before I got the new business job at Grey I went to see my intermediary mates. I knew them from pitching when I was a suit and told them I was looking to switch to a new business role, and I asked them what qualities and skills they thought made the best new business people. I listened, put my own spin on it and sought to impress them and improve at every outing. My thanks go to Messrs Philipps, Cowie, Robinson, Wethey, Pocock, Thomo, Jones, Carpenter, Hamilton, and to the girls Kerry, Debbie, Tina, Suki, Zoe and Lucinda for that period of time. You rock. Another mentor to thank is Kevin Allen. It's incredibly rare to work in an agency or with a team where anyone has worn the new business hat. Kevin has, and I was lucky enough to have him as a coach. He gets it. He gets me. And I was incredibly lucky to find him. He's a true gent and a good friend to boot. To my friends at Grey who all inspired me in different ways... I'll just say that we did it. And to my new buddies at Cheil - Paul, Caitlin, Kevin, Jason, Lotta, Malcolm, Chalky and Simon - we're so going to do it. How did you manage being thrown into the deep end as soon as you returned from maternity leave? I had a hotline to the nursery so I could check Nibs [Arran's nickname] was having a great time whenever I needed to. Professionally, I wanted to prove to myself and the team at Grey that I 'still had it' after having been on maternity leave for 10 months. They had seen a dip in new business wins while I was away, but within two months the agency's winning streak was back. Can working mums really have the best of both worlds? If so, what's the secret to success? Organisation is key. At home and at work. Back-up plans are also worth having. I've been a single mum to Nibs for the past two years and I have a live-in au pair, who is fabulous, as I live in Brighton and my family live in London. I use my Brighton to London commute to catch up on emails and review documents. I work from home one day a week to help manage my career around time spent doing the school run. I take Nibs off for breaks filled with adventures every school holiday. I never miss sports day, the nativity, a parents’ evening or a carol service. I eat lunch at my desk. I'm home for bedtime and reading stories and once Nibs is asleep I start work again when it’s necessary. My team know that I'm always on. Wednesday nights I stay in London if needed and network with my industry buddies. No-one feels let down by my work-life balance and I'm raising my little Nibs to show that women can have the best of both worlds - a fulfilling home life and a successful career. He'll have far more respect for women as a result. What advice would you give other working mothers looking to progress in the creative industry? For anyone who says you can't have it all: guess what? You can. Just be confident. Don't apologise for being pregnant. Don't be afraid to ask for flexible working. Don't apologise for wanting to go to your little one's nativity play. Apologising for having children is a girl thing. Trust me, the daddies don't do it. Don't feel guilty if you have to leave early for an unforeseen emergency. (Yes, there will be one). Ensure everyone knows where you are and that they can easily get hold of you if needs be. When you're at work make sure you're focussed, disciplined, 100% 'there', and give it your all. Be very efficient with how you manage your time. Attend the meetings you have to, not the meetings arranged for meetings sake. Delegate and allow your team to shine. Don't forget, many of your clients and colleagues have kids too. And yes, they like doing bed and bath times, too. Focus on one thing at a time and do it wholeheartedly. Reading a bedtime story, bouncing your baby on your knee while negotiating rates with a prospect on your mobile works for no-one and will only upset you. Rates can wait 30 minutes. Little ones can't. Yes, we can multi-task but there's no need to be a superhero unless you're at your kids’ birthday party and you're wearing fancy dress. And lastly, when the nursery or school calls - don't assume it's an emergency. It’s often not!